Raymond Paul Halderman, Marin Municipal Water District, died on October 14, 1967 while fighting a fire on Bald Mountain. 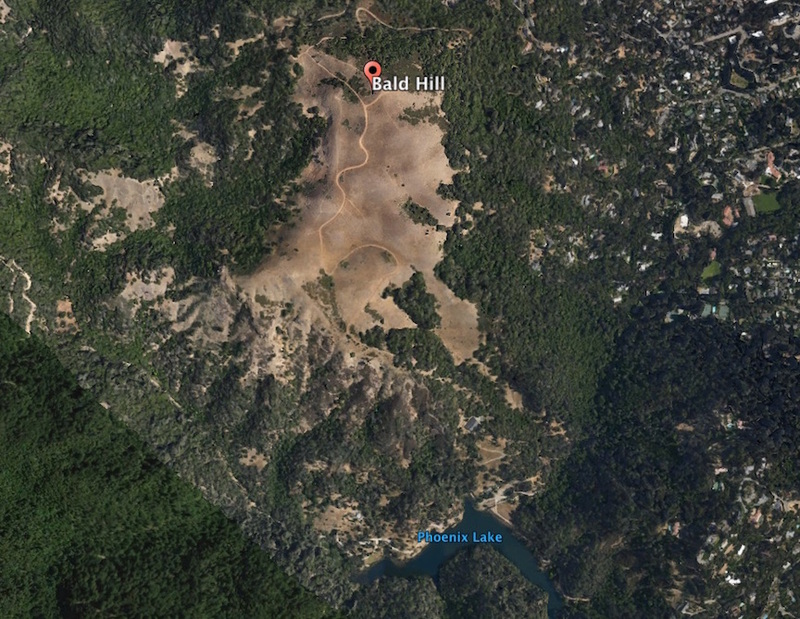 ​According to the Marin Independent Journal as reported on Monday, October 16, 1967, a grass and brush fire burned atop Bald Hill on October 14 at 2:13pm in Ross, and resulted in a firefighter death. Over 55 acres were scorched, including 40 in Ross, and 15 on unincorporated Marin Municipal Water District (MMWD) lands. The fire was accidentally started by a teenage boy using sterno to cook. Invented around 1900, Sterno (known as "canned heat") is a fuel made from denatured and jellied alcohol. Designed to be burned directly from its can, it was commonly used by soldiers in World War I for cooking in the field. Raymond Paul Halderman, 56, served as a Lake Tender for MMWD, what today is called a Park Ranger. Part of that job included serving as a firefighter on district lands. He had been pulling fire hose up the hill at the fire, and collapsed from a heart attack while opening a fire trail gate. He was given mouth-to-mouth resuscitation and “heart massage”, the accepted procedure of the time that would later become CPR. Halderman had been an employee of MMWD for two years. He had complained of having chest pains shortly before his collapse, and was reported dead on arrival at Marin General Hospital at 4:35pm. A World War II veteran, he was a native of Middletown, Ohio, and had lived in Marin since 1961. He was survived by his wife Elizabeth, two sons Robert and Ronald, his mother Elsie, his sister Melba Childress and brother Gene, both of Hamilton, Ohio. The fire was fought by firefighters from the Ross, San Anselmo, and Marin County fire departments, along with MMWD employees. A bulldozer was used to construct a fire trail to help with the fight. An aerial photo of Bald Hill today. Ross is in the lower right, San Anselmo in the upper right, and MMWD lands in the left and lower portions.